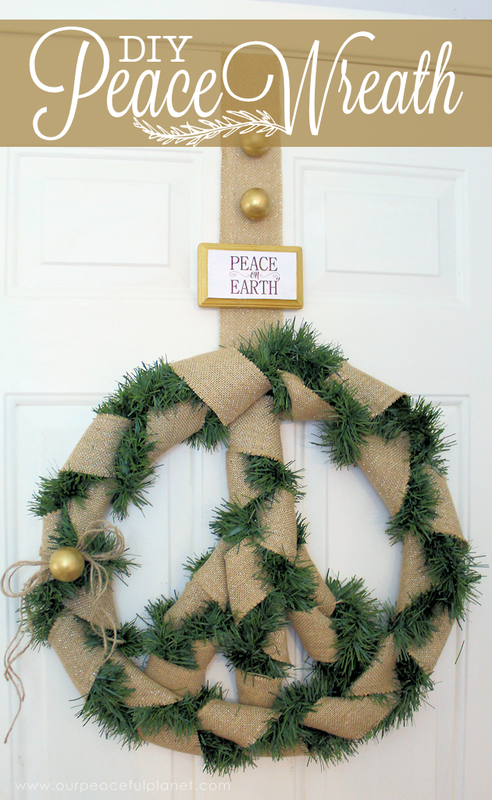 What’s more festive at Christmas than a wreath and what fits the meaning of Christmas more than a Christmas peace wreath complete with a peace on earth quote? 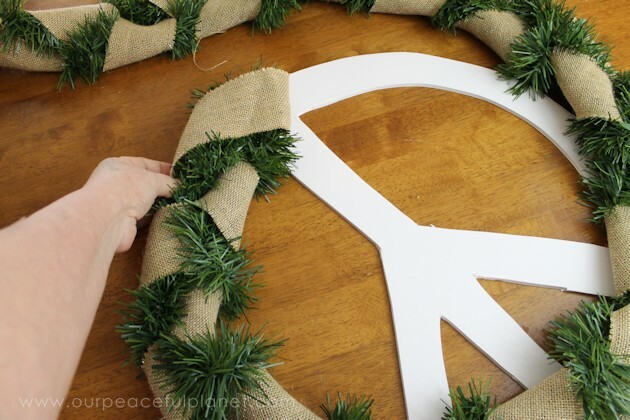 All you need is some inexpensive garland, some burlap, hot glue and foam board. 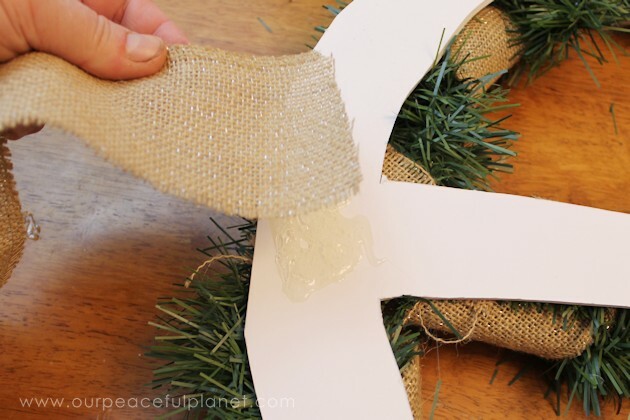 You could even use cardboard for the wreath base instead of foam board. 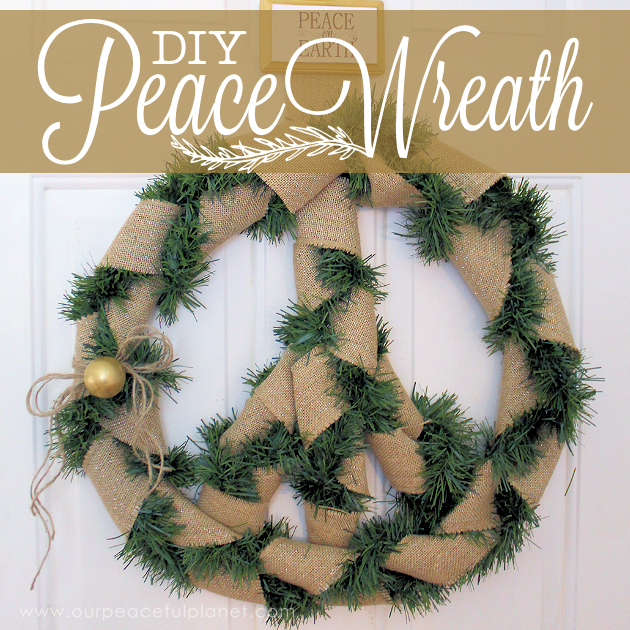 We also show you the best way ever to hang wreaths that doesn’t use a wreath hanger and doesn’t put a nail hole in your door! While you’re here, check out our Twig & Twine Wooden Reindeer and our Poinsettia Christmas Placemats! NOTES: Cardboard can be used in place of foam board. 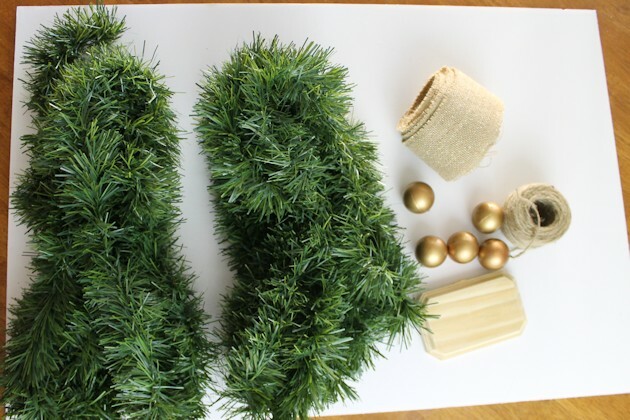 24 feet green garland This is all Amazon currently had in stock. We purchased a 50 foot batch at Walmart for $8. 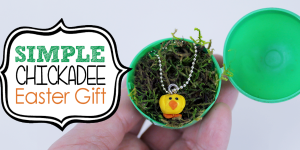 You can try the Dollar store too. 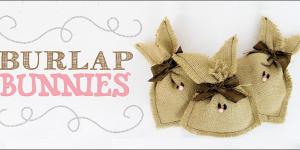 Burlap 12 plus 2 feet burlap, 2″ to 4″ wide. 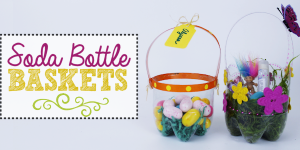 We used a glittery type similar to this one. Tiny Cork I buy a package and use the tiny ones for my wreath storage purposes. 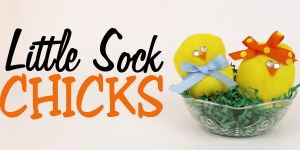 They are perfect as you will see below! 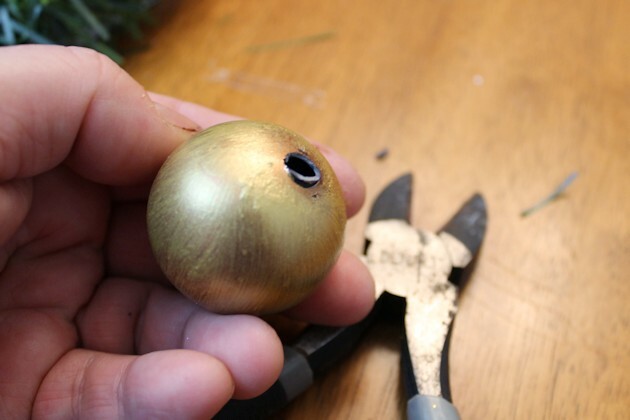 Small gold or copper Christmas balls – Check out the Dollar Store for these. 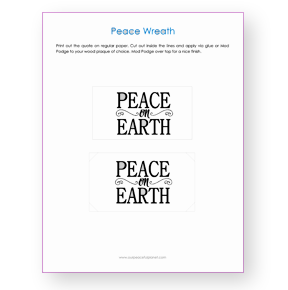 Small wood plaque 3.5″x 5″ These sizes were the best fit, however we supplied quotes for a variety of sizes. 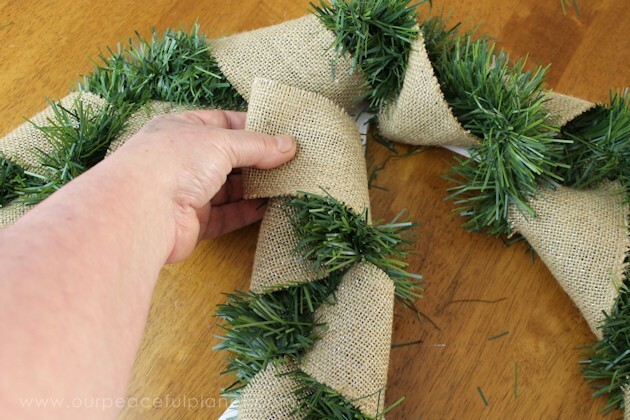 You will need two pieces of 12 foot garland and one piece of 12 foot burlap. They will be braided so you will need to hold them together on one end. I used a binder clip tied to a chair to help out. 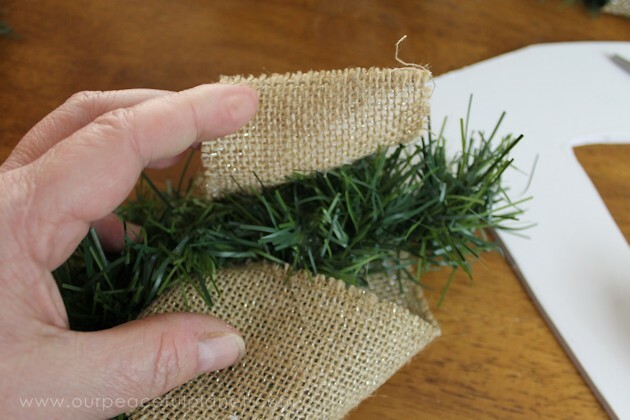 Because you will be dealing with extra long amounts of items, you can wind them up if needed while you are braiding them. It is, however, very helpful to have one or two other people help you. 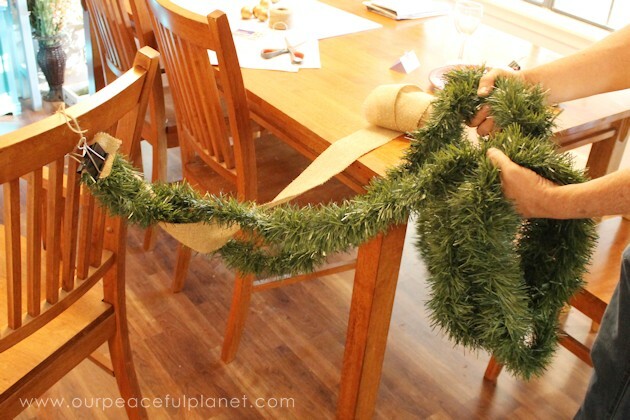 Because our burlap was so wide we opted for a different type of braid. I’m not sure what it is called but we took a video of it below so you can see how we did it. You can use whatever type of braid you like, just make sure to not make it super tight. Here is a video showing how we “braided” ours. 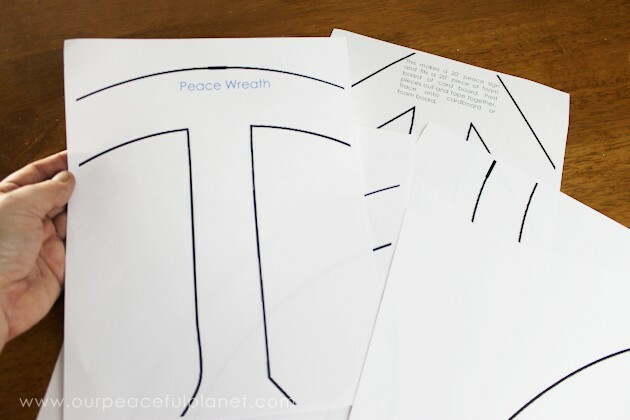 Next you will print out your peace sign wreath pattern and tape it together. 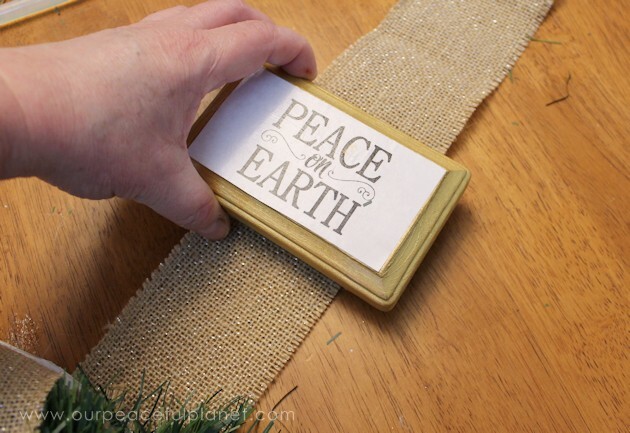 After taping it together, cut it out. 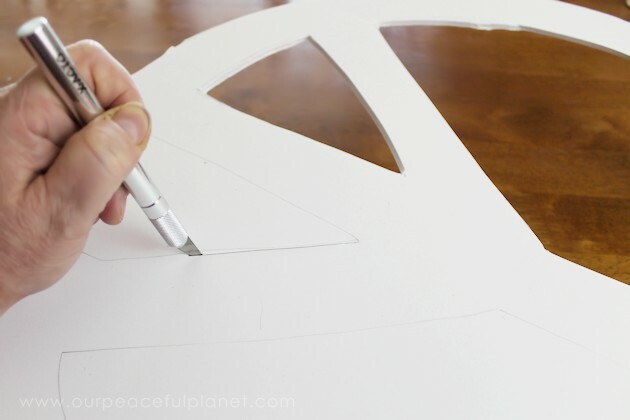 Place your pattern over your foam board or cardboard and trace it. 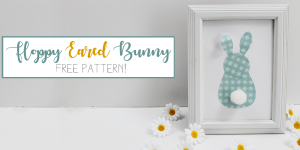 Using an X-acto knife cut out your pattern. 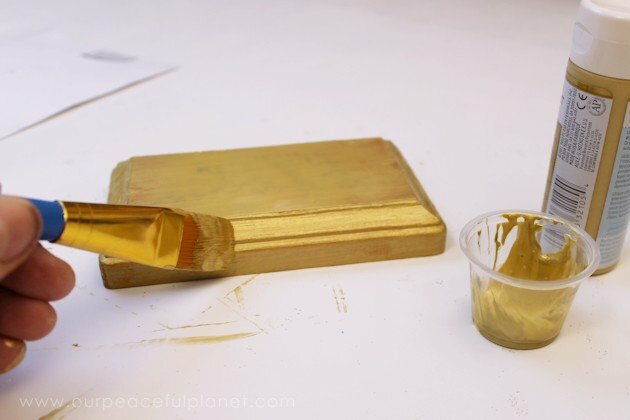 You are welcome to paint your cardboard or foam board to make it match better. 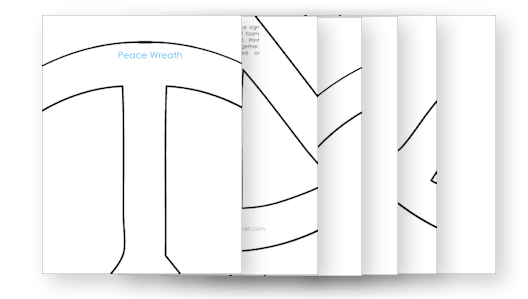 The goal, however, will be to make sure that your braid covers the peace sign entirely so that none of it shows through. 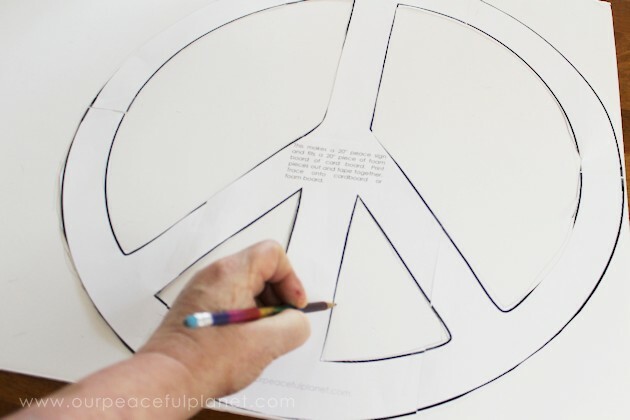 You will start to hot glue your braid onto the foam board, again, making sure it covers the peace sign completely. 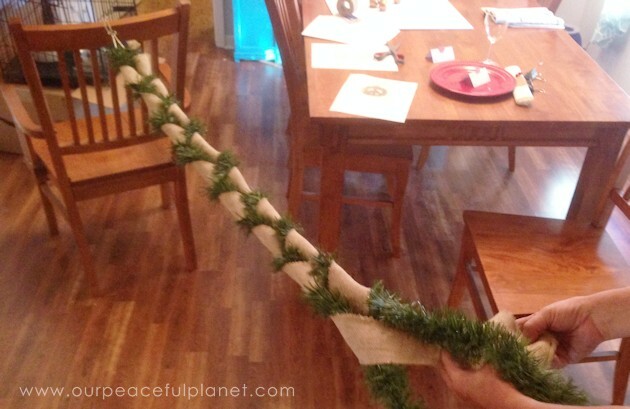 Make sure to use enough glue to hold the braid down. 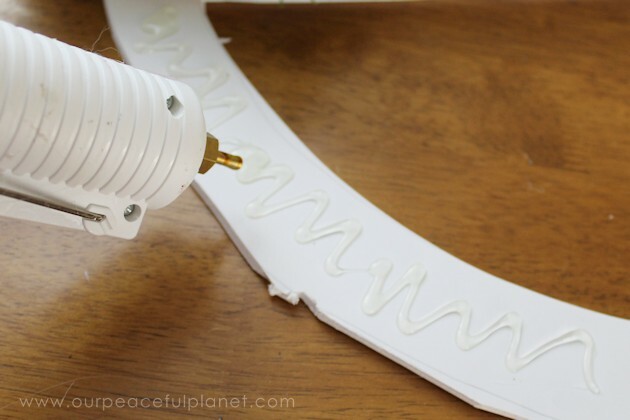 Once you have completed the circle you will carefully cut off your braid and tack the end with glue. 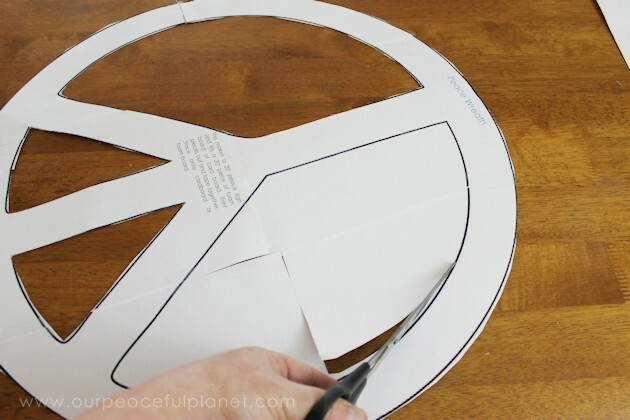 You will use the remaining parts to make the peace sign feet, gluing them on as you did the circle. 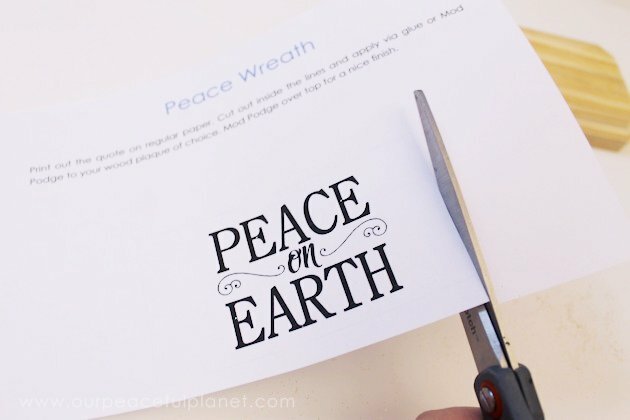 To make the plaque, print out the quote and cut it out. 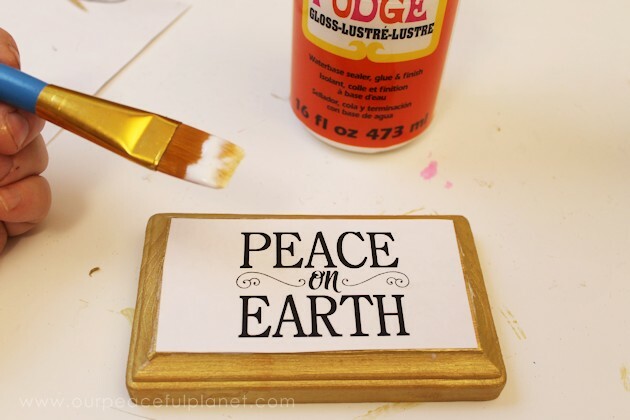 Glue on your quote and Mod Podge over the entire plaque. 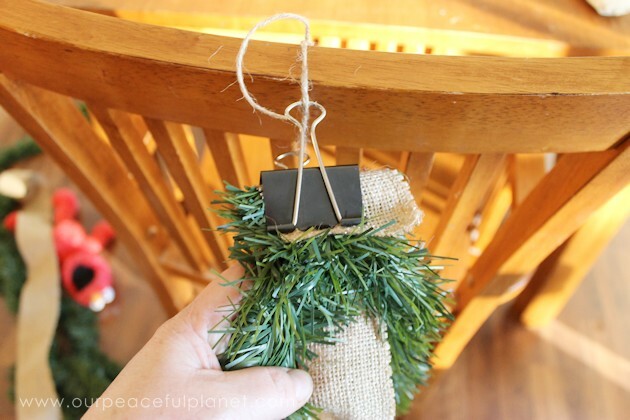 Add on the brown twine. Add on any decor you like. 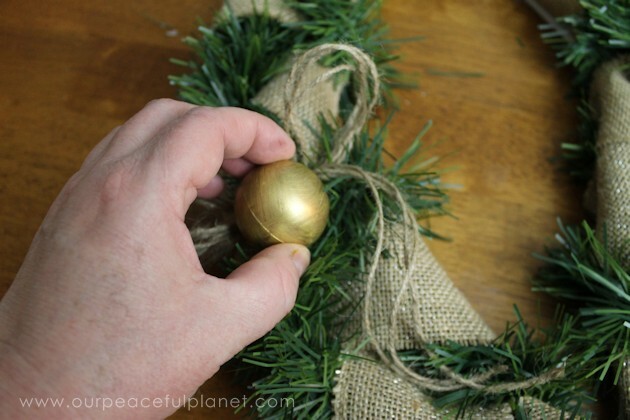 To hang your wreath, add a strip of burlap glued firmly to the top, barely enough to reach over the top of the door. 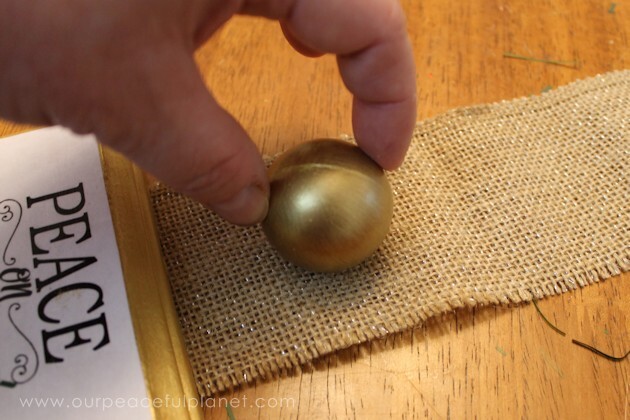 We used plastic balls and clipped off the part that stuck out so they could be glued onto our burlap. Our plaque was glued on. Two balls were glued on above the plaque. 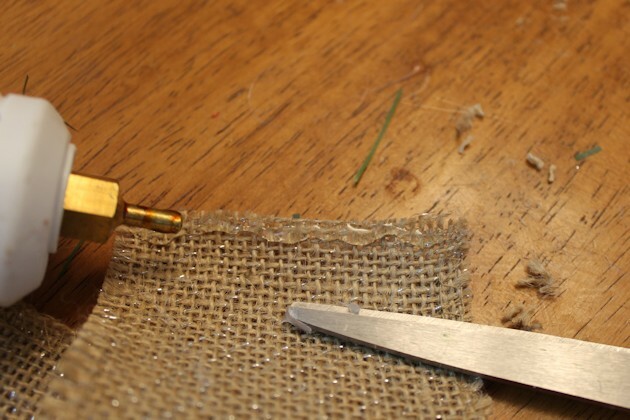 A line of hot glue was placed along the top edge of the burlap to keep it from unraveling. A large thumbtack was placed on the top for hanging. 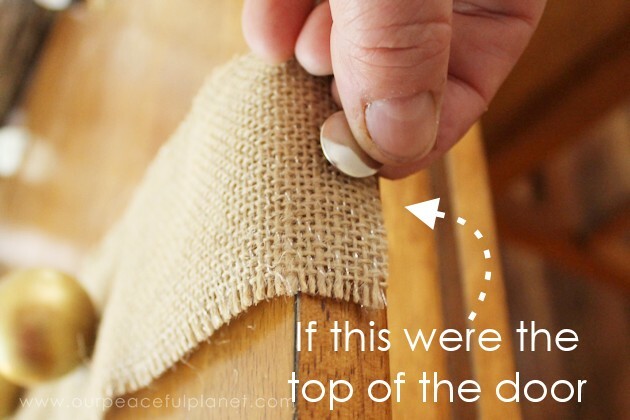 Glue the thumbtack onto the burlap. This shows how it will hang on the top of the door. No nail needed! 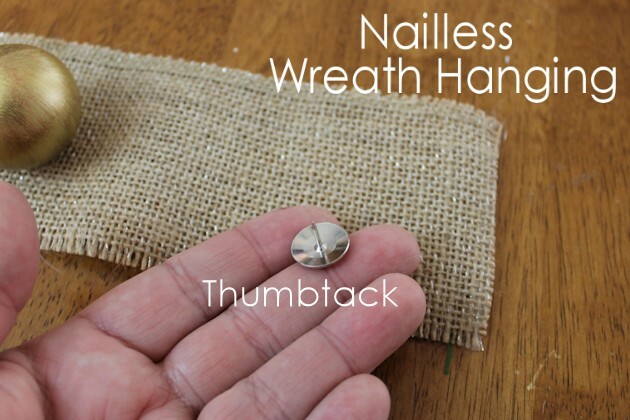 Place a tiny cork on the end of the thumbtack when not in use. What an awesome technique! 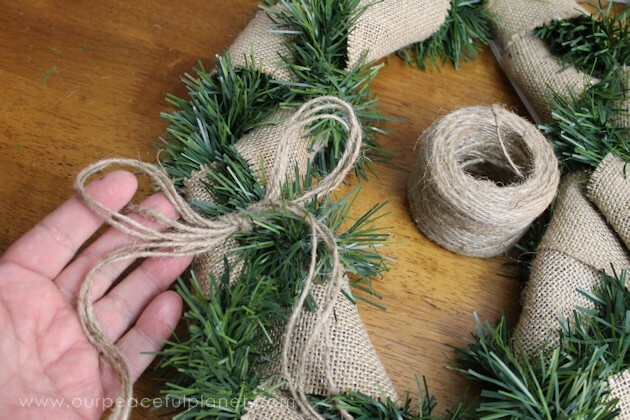 I’ve never seen braided burlap and garland. Can’t wait to try it. 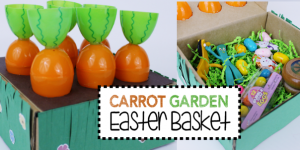 Thanks for sharing the tutorial!